The ancients knew that the winter solstice was the longest night of the year — and that meant that the sun was beginning its long journey back towards earth. It was a time of celebration, and for rejoicing in the knowledge that soon, the warm days of spring would return, and the dormant earth would come back to life. The winter solstice falls around December 21 in the northern hemisphere (below the equator, the winter solstice is around June 21). On that day — or close to it — an amazing thing happens in the sky. The earth's axis tilts away from the sun in the Northern Hemisphere, and the sun reaches its greatest distance from the equatorial plane. On this one day, the sun stands still in the sky, and everyone on earth knows that change is coming. Because this is a festival of fire and light, feel free to use lots of candles and lights, solar symbols, bright colors, or even a bonfire. Bring light back into your home and your life. 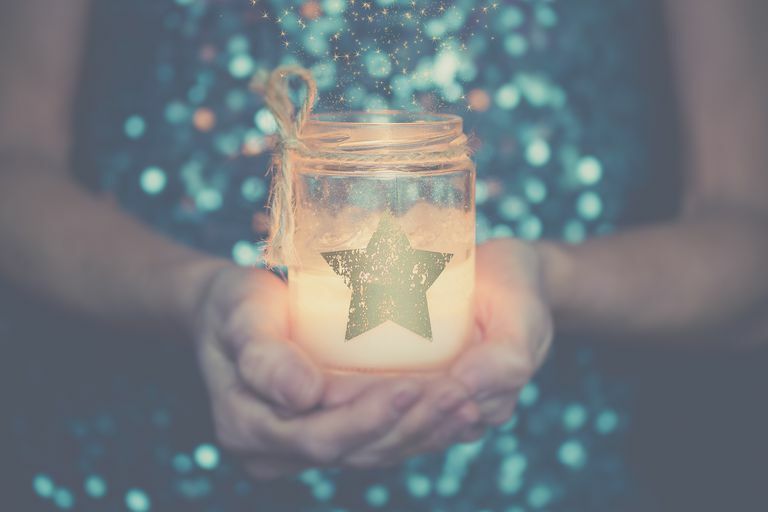 Many cultures have winter festivals that are in fact celebrations of light — in addition to Christmas, there's Hanukkah with its brightly lit menorahs, Kwanzaa candles, and any number of other holidays. As a festival of the Sun, the most important part of any Yule celebration is light of the sun — candles, bonfires, and more. Like any Sabbat, this festival works well if paired up with a feast. Celebrate the sun's return by preparing all kinds of winter foods — whip up a batch of cornbread, a pot of buttered rum, plum pudding, cranberry dressing, game stew, etc. Have the whole family eat together prior to the ritual. Clean up, and when you're done, cover your table or altar with candles. Use as many as you like; they don't have to match. In the center, place a sun candle** on a riser, so it's above the rest. Don't light any of the candles just yet. Turn off all the other lights, and face your altar. If your tradition requires you to cast a circle, do so now. Take a moment to think about what the return of the sun means to you. The return of the light meant many things to different cultures. How does it affect you, and your loved ones? When you're ready, go through the house and turn all the lights back on. If you have children, make it a game — they can yell out, "Welcome back, sun!" ** A sun candle is simply a candle you've designated to represent the sun in ritual. It can be in a sunny color — gold or yellow — and if you like, you can inscribe it with solar sigils.